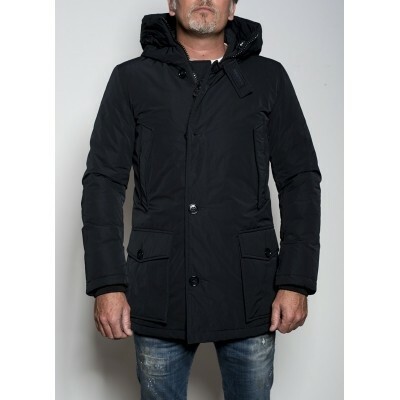 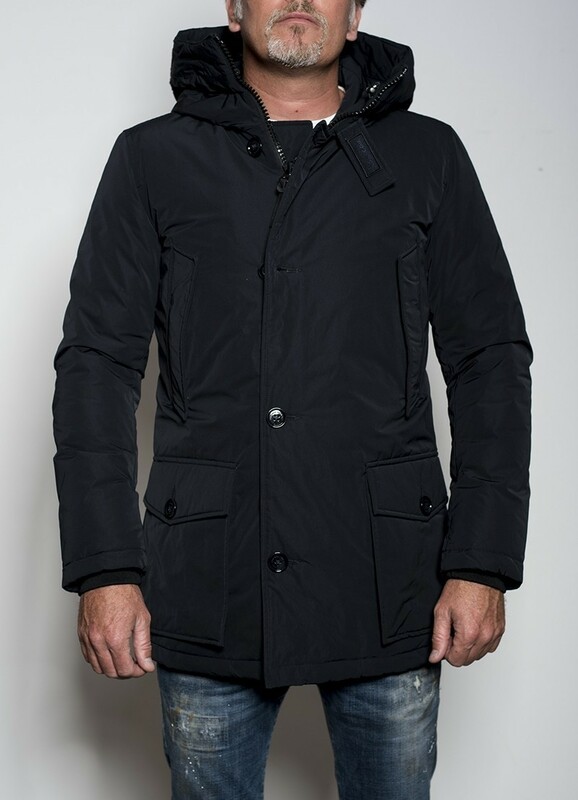 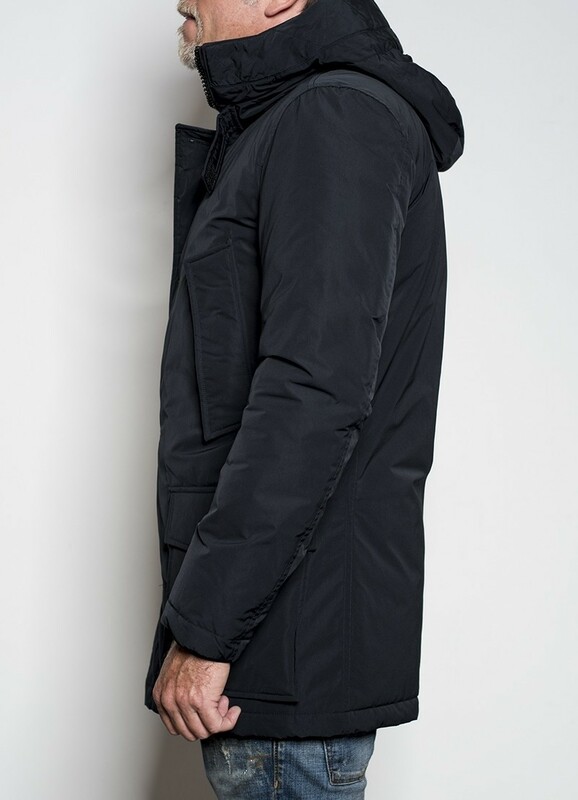 Woolrich City Parka with its distinctive high collar and detachable hood Velcro internal band. 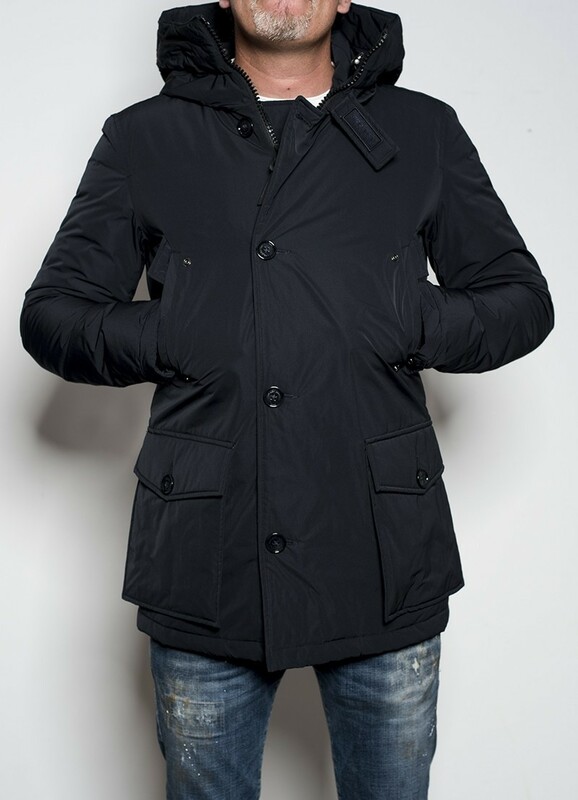 Frontal details on the coat consist of four large patch pockets in flap style openings. 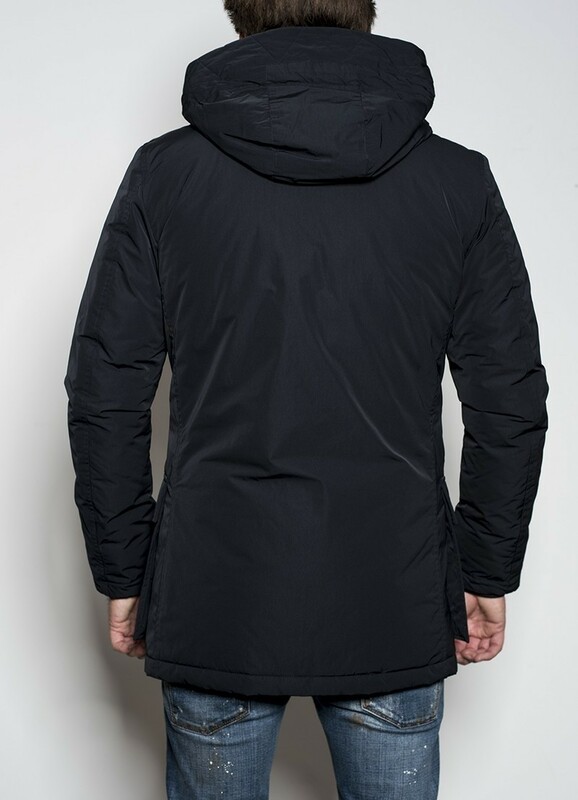 Made of practical City Fabric, Two way Zipper, for guaranteed warmth padded with 90% duck down and 10% feather filled.